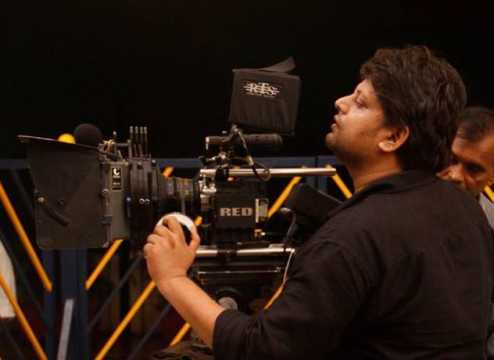 Producer-director Nitin Chandra has broken the industry formula many times over. His first film, Deswa (2011) was the first Bhojpuri films to reach the International Film Festival of India (IFFI) in 2012. Chandra then made Mithila Makhaan, in Maithili language that won the National Film Award in 2016. Chandra is back with his short film, The Suspect, a dystopic thriller that narrates the story of a Bihari Muslim man who finds himself caught up in a dizzying Mumbai on the eve of the 2008 terror attacks. The film was recently screened at the Diorama International Film Festival & Market (DIFF) in Delhi. Cinestaan.com caught up with Chandra at the festival. Here are some excerpts from the interview. How did The Suspect come into being? Since childhood, I have had many Muslim friends. So I am sensitive about the subject. I know the kind of prejudice the Muslims are facing all over the world. In a country like ours, where we have a democratic setup and rely on harmony of communities, it’s a very volatile subject. I am sensitive about this. I read many stories about people who had lost almost all of their youth in jail after the terror attacks in Mumbai. These stories had an emotional resonance with me as a storyteller. I wanted to make a feature film. But getting funds is hard. Everyone wants to know who the hero is. No one cares who the heroine is, or what the story is. Do you think this is changing since 2018 saw relatively smaller films doing much better than films with big names? Is this new small film revolution or end of star-focused formula everyone is talking about real? Even for films like Andhadhun (2018) to work, one needs a mechanism in place. A film is a package of many things and it is a socio-economic product after all. So Andhadhun worked because the director, Sriram Raghavan was big, budgets were in control, limited use of locations, and so on. A number of actors nowadays work on percentage basis which is not something a new director can negotiate easily. There are a lot of challenges for new filmmakers and independent filmmakers in the industry for sure. It’s a continuous fight for us. Do you think the industry is still caught up in assumptions about what works or doesn’t work in terms of storytelling, language, stars, etc? You made your first film in Bhojpuri language which was the first Bhojpuri film to go to a film festival like IFFI in Goa. Do you feel there is a bias against certain languages, regions that don’t still fit the brand? See, I am a Bihari. Being a Bihari in this country is not an easy thing. We’re in Delhi right now and Delhi is the epicentre of Bihari abuse. I don’t entirely blame the city because I also am aware of what happened in Bihar. I’ve been writing about it, studying it. Bengali cinema is taken seriously because they have taken themselves seriously. Biharis haven’t taken themselves seriously. In Punjab, we see Punjabis haven’t left their mother tongue. In Bihar, educated middle-class Biharis want to abandon their mother tongue. In the desire for social mobility, we have lost track of who we are as people. There is also a history of language politics here. Hindi as a language was imposed on Biharis. Speaking Hindi in a regional accent is funny, but we see Bihari or UP accent used as a template funny accent in films. When your language becomes funny, who would take their identity seriously?! Moreover, Bhojpuri cinema moved into the sleazy zone with B-aesthetics. I’ve made a Bhojpuri film, like you said. I also made my second film, Mithila Makhaan, in Maithili language that went on to win a National Film Award in 2016. But such films don’t even get a release. No one wants to put their money on these films. There are of course filmmakers, like Prakash Jha who come from Bihar, but they decided to make films in Hindi. So this disconnect from one’s own mother tongue and motherland is seen commonly in Bihar. Do these challenges then shape the relationship between the format and the subject matter of a film? Does the subject dictate that it would be a short film or do these hindrances make short films a more viable option in terms of budgets and circulation? You are right. When you resolve to make a short film then there is greater control because of the length and scale of the film. Any day, I can make the same film as a feature film if I want to — I can give an extensive backstory, show his struggle in Mumbai at length, and so on. But how can one make a film like that on a small budget?! When someone comes to me and says, 'I have 5 lakh, can you make a short film?' If I have a script and I am an independent filmmaker, then it is only sensible to bring a film out instead of not making anything. Now with digital platforms, we see a change. What TV did to cinema, digital is doing in terms of creating space for filmmakers. I have my own channel on YouTube now and I am getting sponsors, so it has allowed me to create a space for myself and share it. Everyone now has a cinema house in their hands so it’s a good time to be a filmmaker.